One of the main benefits of sling is comfort. Sling provides a yielding and infinitely variable seating surface that moulds to your individual body shape. 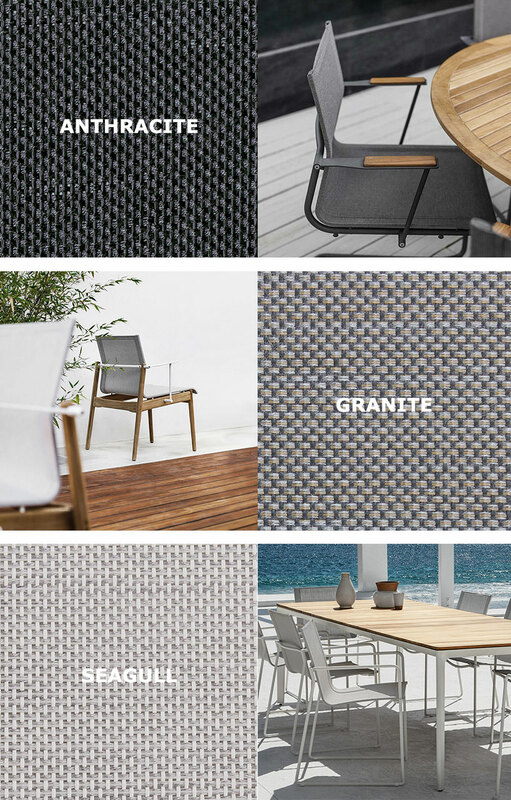 Sling is a generic term for a woven, open-mesh fabric made from a vinyl coated, high strength polyester yarn. 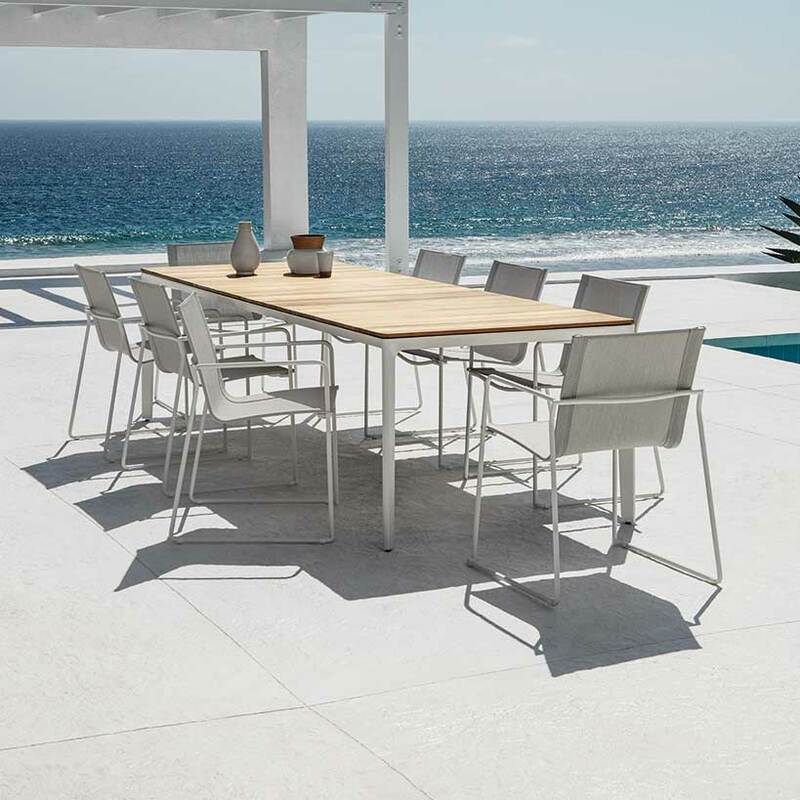 For Gloster’s sling furniture Gloster use only the highest quality Textilene® woven vinyl, which is resistant to fading, mildew and wear & tear under even the most severe weather conditions. Sling requires only occasional cleaning with Gloster Sling & Woven Cleaner to keep it looking as good as new. We recommend that sling furniture is cleaned using Gloster's Sling & Woven Cleaner, following the instructions detailed on the label. It is important to use a non-foaming cleaner on slings, as a foaming product will leave residues in the gaps in-between the weave which will then attract dirt. 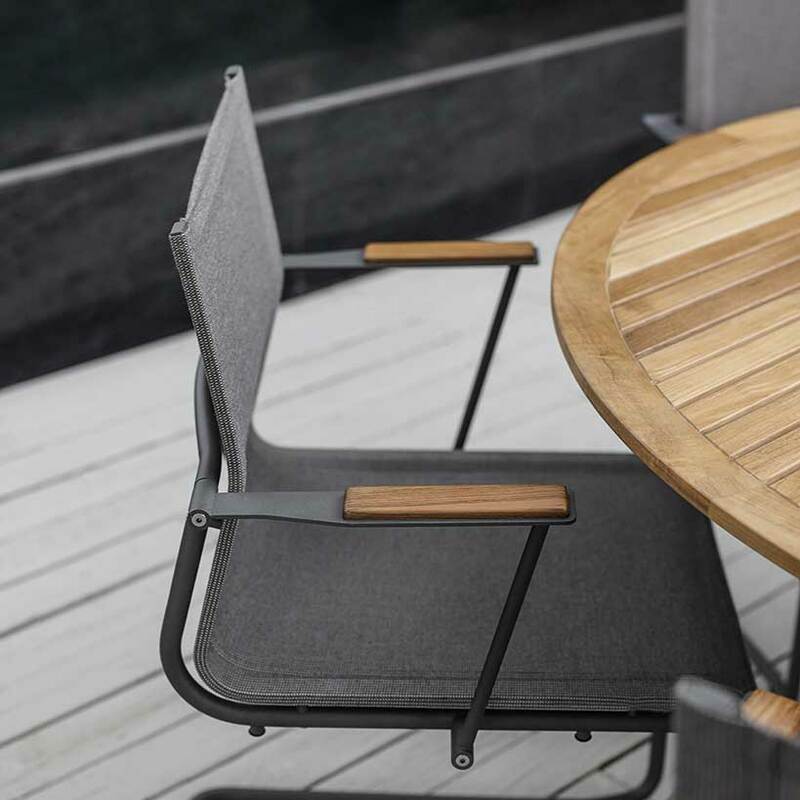 A pressure hose on a low setting is acceptable to use on sling furniture, but avoid any teak components, as the high pressure can erode the surface of the timber. For anodised or powder-coated aluminium frames, use Gloster's Metal Cleaner. 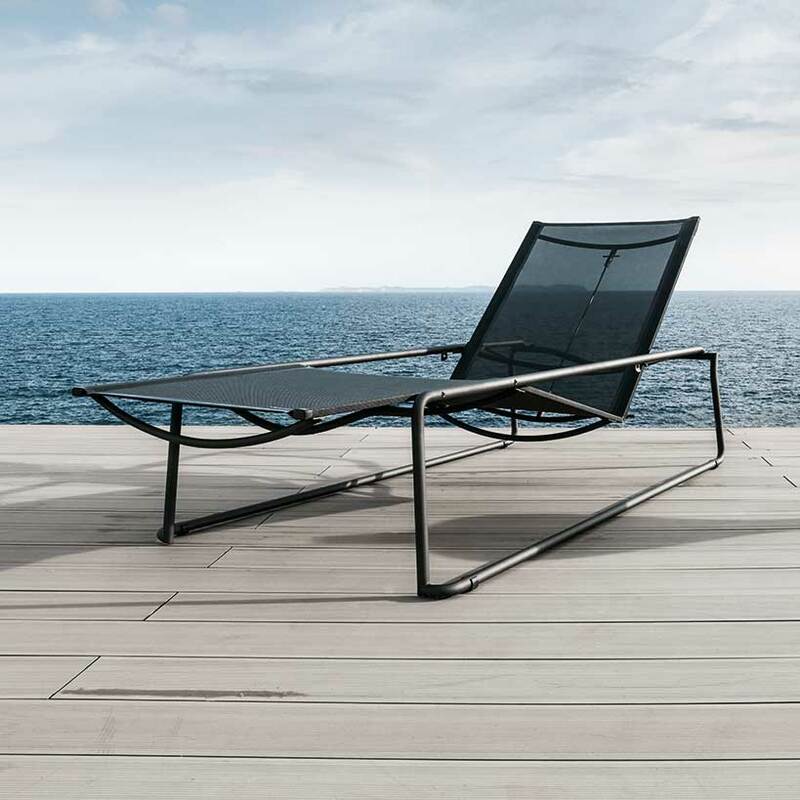 Historically, slings are found combined with powder-coated aluminium frames. 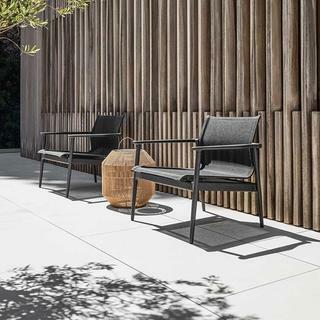 However, due to its inherent good looks, exceptional comfort and practicality, Gloster also has designed products that combine sling with both teak and stainless steel frames.